Acclaim Technology Leasing provides business with innovative leasing solutions for all your office equipment needs. We understand that businesses need to stay up to date with technology to ensure they have a competitive advantage in their marketplace. IT hardware and software can quickly become outdated or obsolete, as updated and more sophisticated equipment comes onto the market. Often the cost of ownership of this equipment is becoming uneconomical as businesses attempt to maintain poorly performing equipment to justify the outlay. Acclaim Technology Leasing solves the ongoing issue of keeping up to date with technology, through innovative and flexible leasing options.  Through our technology partnership with Acclaim Group, we provide a single point of contact so you enjoy a seamless combination of both finance and technology expertise. We encourage our clients to utilize this expertise to develop an integrated and tailored solution that incorporates all their Computer hardware, Software and communications equipment needs in one easy lease plan, “TechLease”. When you use a “TechLease” Lease Plan for all your equipment needs, you have the flexibility to replace or upgrade items every two or three years, or when it suits you. You can also include additional items at any time. “TechLease” may also include Software development, manufacturers extended warranties, installation, training and technical support, providing the latest technology through easy and predictable monthly Lease payments. By avoiding the capital outlay of purchasing IT equipment, financial resources are free to be used for other projects to maximize return within your business. Equipment technology continues at such a rate that it is very capital intensive for businesses to keep up with the latest technology, often making the technology lifecycle seem more like a treadmill. No problem with a Tech-Lease, you have the flexibility to replace, upgrade or continue with your equipment, thereby increasing productivity and reducing down time. Lease terms are flexible, and usually geared to the effective life cycle of the product. Terms are available for 12, 24, 36 and 48 months, but can be adjusted to suit your requirements. The most efficient lease term is around 36 months; however upon application we will consider Lease Plan term options to suit your particular needs. The easy monthly Tech-Lease payments provide a steady and predictable monthly expense. With the simplicity of a single monthly Tech-Lease expense there are no complicated depreciation rates and interest calculations. You can easily identify and allocate the actual expense to the appropriate area within your business, tracking costs has never been easier. Leasing has a positive effect on financial ratios providing off balance sheet finance compared with IT ownership. Leasing allows the procurement of your required IT equipment while preserving bank credit lines for short term requirements as they arise. Provided the asset is used to generate taxable income the rental payment should be fully deductible. We recommend you check your tax position with your own accountant or professional advisers. It is as simple as contacting our technology partner Acclaim Datasystems who will assist you in determining your specific needs and/or take you efficiently through the easy and fast application process.